Theater, Rent, No Thanks, Undecided? Rent. Let me clarify my choice … the DVD rental of this film is only due to time constraint, budget and the decision that I’d rather buy a ticket to see Pacific Rim in theaters in one week’s time. Sorry minions. 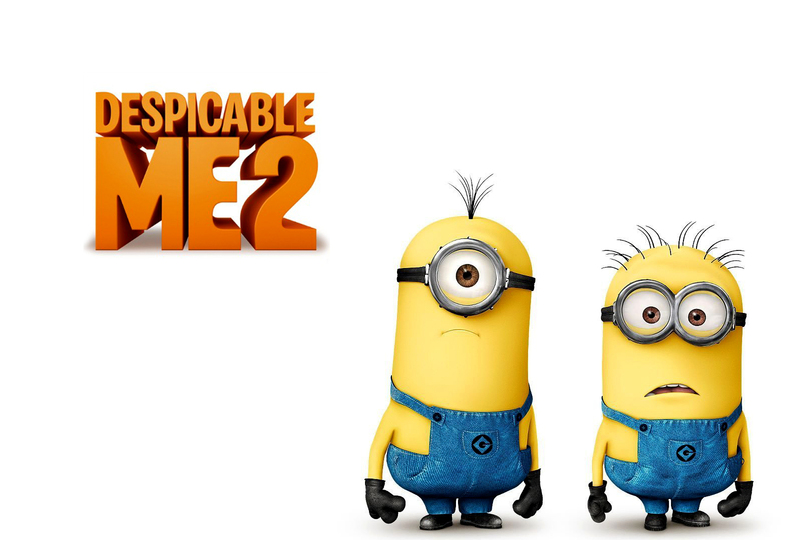 Okay, now that that’s out of the way, I am excited to see Despicable Me 2. I saw the original only a few weeks ago thanks to my adorable nieces who laugh hysterically at the minions. I found myself doing the same. And then came the trailer for DM2. I mean the minions singing All 4 One? That’s all I needed to see. Seriously, they had me at their mumbled version of “I Swear.” Then throw in the fact Steve Carrell is amazing as Gru and the incomparable Kristen Wiig is on board, you cannot ask for me. Who knows maybe time and cash will free up and I can get into the local cineplex to see DM2.